Each year, Fortune magazine scrutinizes hundreds of companies, surveying employees and reviewing each company's stated philosophy, employee handbooks, and other materials to find America's 100 Best Companies to Work For. Not all of the companies listed are headquartered in Charlotte, but some are. 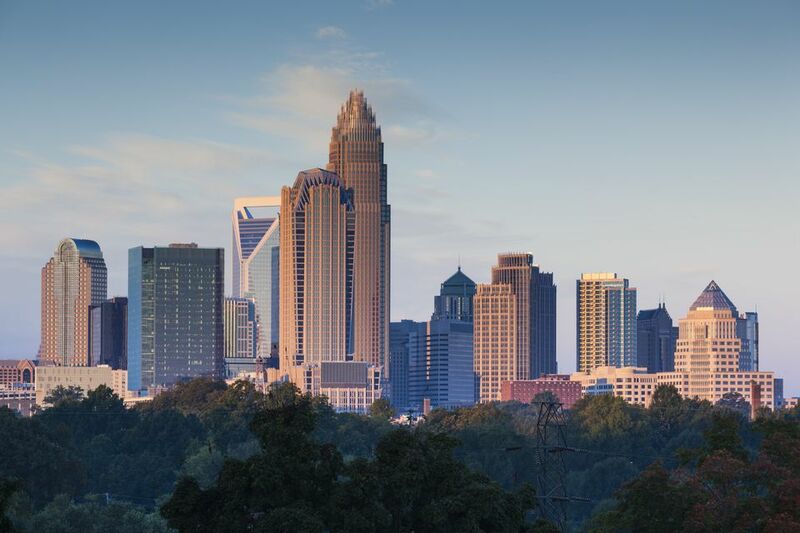 Each company listed does at least have a presence in Charlotte, most notably in the fields of law, retail, finance, and childcare. All information is taken from Fortune's Top 100 list. Alston & Bird is a 120-year-old law firm that is a haven for parents. For a decade, the law firm has had its own childcare campus a block away from its offices. The facility was expanded this year and now provides on-site daycare, with subsidized rates for parents in lower-salaried ranks. The firm also provides three months' paid leave for new moms, adoption benefits up to $10,000, special parking for pregnant moms, and a co-op maternity closet to recycle clothing. As the country's largest retailer of used cars, Carmax offers four weeks of paid paternal leave for hourly and salaried full-time associates, and birth mothers can add four weeks of paid leave at the end of their six to eight weeks of paid medical leave. It also gives extra vacation time based on the length of service. At Marriott International, employees are taken care of because the company believes that if associates are appreciated, they will, in turn, take care of the guests and the guests will return. The family-like culture at the hotel chain welcomes guests, which leads to success in business. Founded in 1901, Nordstrom, Inc. is an upscale specialty retailer that continues to live by its one-sentence doctrine: "Use good judgment in all situations." The company has more than 370 stores scattered across the United States and Canada. Diversity is a big focus at Deloitte, which is the largest U.S. accounting firm. The company matches up to $500 of an employee's spending for gym memberships, meditation, pedometers, and massages. Its family leave policy includes 16 fully paid weeks, and birth mothers are eligible for up to six months of paid leave. What's All the Fuss About Carowinds Amusement Park in Charlotte?